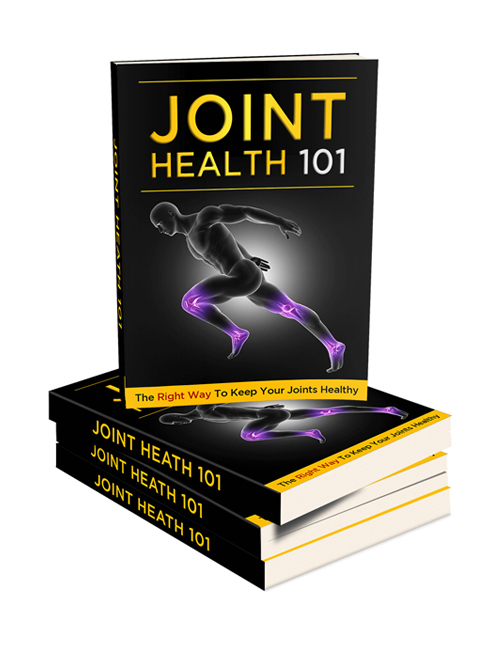 Joint Health 101 – The Right Way To Keep Your Joints Healthy is an eye-opening ebook that brings to the forefront the importance of keeping your body healthy and strong to slow down if not stop the potential consequences of joint pain which comes with aging. Of course, we can’t stop the aging process. We’re all going to get old no matter if we want to accept that reality or not. It’s inevitable. But being healthy or relatively healthy into old age is doable if we put in the effort to live a healthier lifestyle. Joint pain doesn’t just affect the elderly although elder people more so are prone to it. It can affect younger people too. So many people are dealing with all sorts of body aches and pains from doing the simplest things including washing dishes, getting up off a chair or even putting on their socks. Simple tasks become difficult. In this guide which also comes with Joint Health 101 videos, you will discover how to deal with this problematic reality of life that tens of millions of people deal with on a daily basis. You’ll learn what happens if you aren’t caring for your physical health, symptoms of joint damage, how to prevent or reduce the chances of joint damage and make your joints stronger, various exercises you can implement, best diet and foods to strengthen your joints, which foods to avoid, the importance of keeping a healthy body weight and more. You’ll also learn how to reduce pressure on your joints, various home remedies you can incorporate, how to relieve a lot of pain in your aches and much more. We all deal with some form of physical discomfort at one time or another. Sometimes it can be really painful. The best way to prevent it or handle it comes down to your lifestyle and habits. This guide will help you to identify the problems you might be having and the best course of action you can take. So when you’re ready, hit the download button. Package includes a professional sales-letter and ready-to-go sales materials.